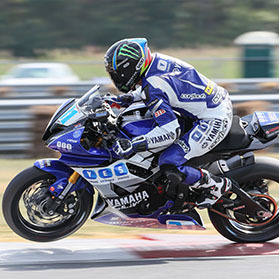 Graves Motorsports Yamaha R1 Lower 50mm Velocity Stacks for the 2009-2014 models. These 50MM Lower Velocity Stacks with Pivots were developed by Graves Motorsports for your Cross Plane Crank R1. This item is the "Lower" stack assembly only (see item # ABY-09R1-REVT to purchase the top add-on). This stack kit improves power throughout the entire RPM range. The staggered tops allow the cylinders to share the available volume of air in the R1’s air-box evenly at low and mid range RPMs. The shorter than stock lower stacks feed the R1’s appetite for big air when the upper stacks raise improving top end power. These stacks developed on the Graves Yamaha Superbike give our riders the drivability needed to win races. Available now for your 2009-2014 Yamaha R1. You can purchase the complete kit by ordering this item along with Part # ABY-09R1-REVB (sold seperately) or just this lower piece only for use with the stock uppers. NOTE: Uppers cannot be used with the stock lower velocity stacks.